You can open the settings by double clicking on the any skin. Well, this time i added a new option for translating. Default language is English of course. But, you can directly translate to your language in settings. That's mean that almost all languages in the world are supported. And also, you don't need to send me translations. 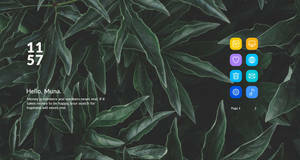 Thanks Justin Maller for this nice abstract wallpaper! Thanks jsmorley for the color picker RainRGB4 ! Hey I was wondering if there is any way to change the Z axis on the visualizer to make it diagonal? Thanks! 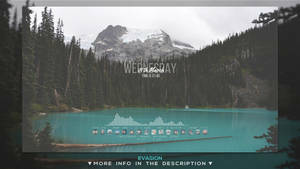 -Make visualizer skin from the beginning with different code. -Edit this skin with Transformation Matrix. how to disable the visualator going invinsible after the song is finished? What font is that? It looks really good. Roboto Thin, Light and Bold. 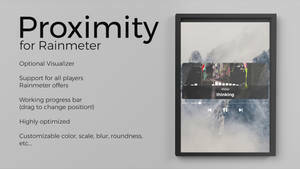 will gpu monitors be added? For that is needed other software . Like MSI Afterburner. I personally don't use MSI Afterburner, so i can't make and check the GPU skin. For later, i don't know. I will see. Do you have inverted HDD? This skin is made to show used space not the free space. If you want to show free space, change InvertMeasure=1 to InvertMeasure=0. 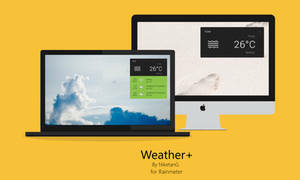 How do i make the weather numbers skinnier? By changing the font. 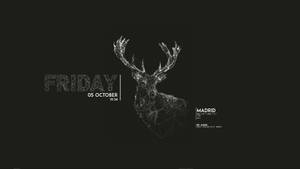 Find some font who have light or thin letters. I've really been having problems trying to set up weather. Read the comment about what to copy but am not sure where to copy it. And my code is much much longer than your. Can you guide me to as where to put which part of that. 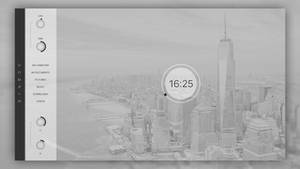 Watch this video from 0:50 and you will see how to change location code properly > Link. If weather code don't exist for your location, you can't use weather skin.I mean on your location. 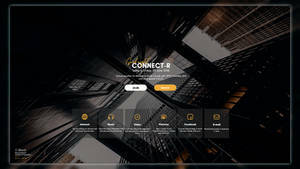 You can use for other locations. 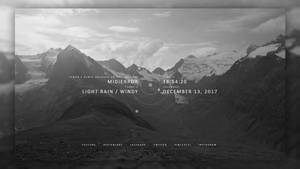 What is ettaglans rainmeter mod? I spend 2 hours to find your location code, but ok. It was worth it. Is there a way to change the font weight or add a stroke to the font perhaps? Already loving this skin! For me the visualiser isn't rendering anything. It's definitely there, but completely invisible. Any help? Hi! Thank you very much for your time and translation, but new option for translating is added, so peoples don't need to send me their translations. Now you can translate directly from the skin settings menu. 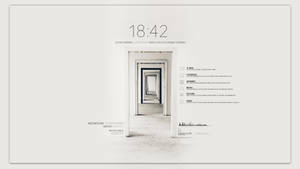 how to get the same wallpaper of the presented themes? You can find link in the description above. 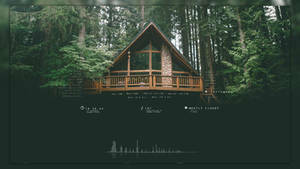 If i want to add a visualizer, which visualizer would you recommend and where should i place it? I want to give you advice, but i can't. If i give you advice, maybe you don't like it. Because, every person have a different taste. 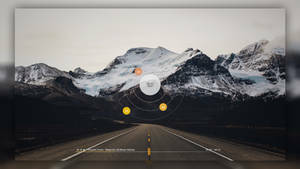 You can add whatever visualizer you want, and put it wherever you think it's a good place.. 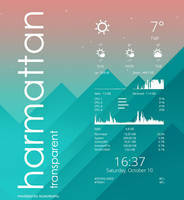 I can't promise anything, but i will try to add one visualizer later to match with this skin. 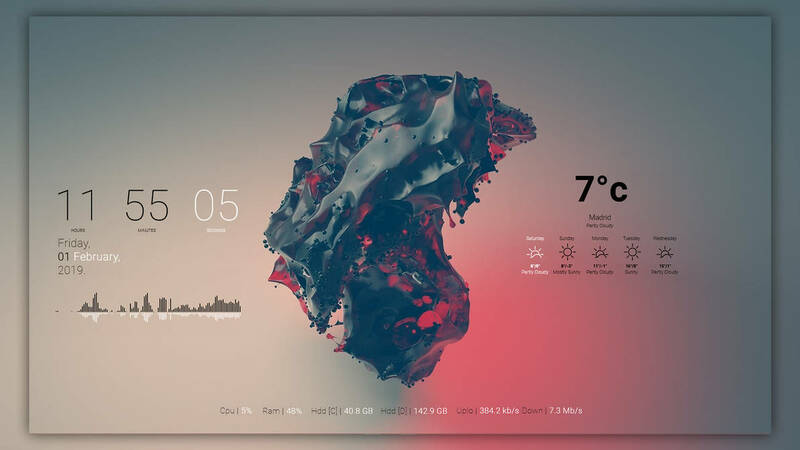 By the way, can you recommend a minimalist skin for my second user? 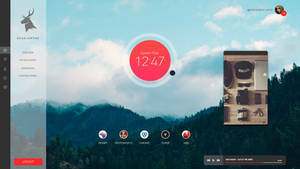 My second user is mostly for guests so I'm looking for a skin that shows the time and an icon for google chrome (preferably front and centered). Nothing too flashy but nice enough that I hear some "wows". I don't know, it's all a matter of taste. 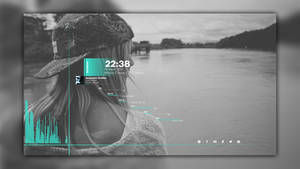 You can look at my gallery and try to find some skin that suits you.You can combine few skins at once.For example, you can use clock from one skin, icons from another skin, weather forecast from third skin and so on. I do have a few questions if you dont mind answering. 1. Does this skin make a computer slow? Take up CPU? Drain battery ? 2. To make the recycle bin disappear, did you uncheck "show desktop icons" or used a different method ? 3. I have 2 users on my pc, if Im on the other user (not the one with the skin) will it be active? It's not a problem, i will answer to you if questions are not hard too much. 1. No, this skin will not slow down the computer.This skin does not have animations and visualizers, which can slow down the operation of the computer and increase the use of the CPU. Note: All my skins are designed to not take up a lot of system resources..My goal is always to make a simple skins which will looks nice, but without slowing PC. 2.To make the recycle bin disappear, i was uncheck "show desktop icons". I didn't use different method or 3-rd party software. 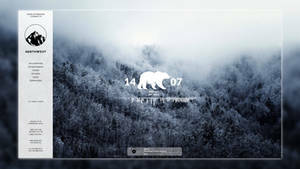 3.I don't have 2 users accounts on my pc, so i can't check and confirm, but because the program will be installed in "C:\Program Files\Rainmeter", and i think it will be available for all user accounts. Hey man I just wanted to say thanks ! 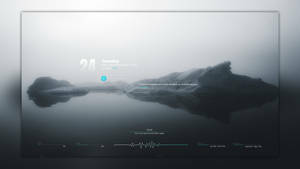 For a while, in terms of customizing I basically got rid of the task bar and hid everything on the desktop, also a slideshow with my favorite wallpapers. 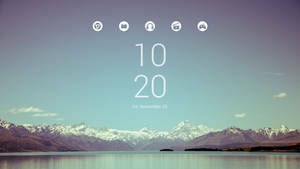 I eventually found out about rainmeter on youtube about a week ago but I have been afraid to try it out because I have a pretty crappy laptop, its a new model but in terms of components its not good. 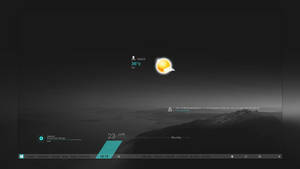 I eventually cave in today because I really wanted to customize my desktop to my taste. The first skin I downloaded was good at glance but when I tried it out it was different than advertised. 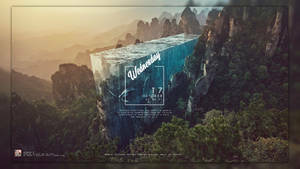 Seeing how I'm new to rainmeter I didn't want to bother fixing it as I could probably mess it up. This skin was the second I liked, so I downloaded and it looked really good. 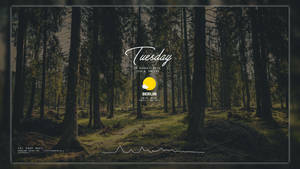 I eventually had to move the widgets around seeing how they didn't look right initially. 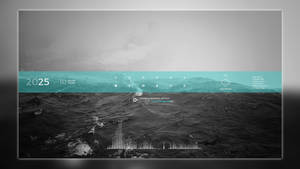 I then chose a static wallpaper instead of the slideshow to customize the skin to match it. 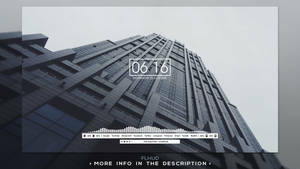 Now my desktop looks way better than I could have ever imagined, thanks ! .. First of all, thank you very much, and i'm glad to hear that! What are these pictures called? 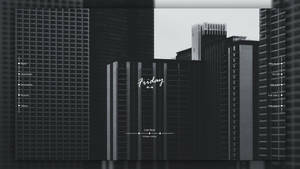 And you can better throw off the site where you downloaded this picture. Your message have 2 meanings.I don't know on what you mean, but if you want to download this wallpaper, you can find link in description above. Hello! i translate to Greek but now how can i send it to you to upload it? Hello! You can upload somewhere or just to send me in "Notes" here. lease understand me i can not able to translate the skin to each language,but you can translate at yours. ;and i will add it in the next update. ;HOW TO TRANSLATE TO YOUR LANGUAGE? ;Replace the word that is right to the colon [:] with your language translation. ;Leave the quotation marks intact and separate each section with a comma [,]. ;how it looks translated language,for example,German. ;Conditions="Thunderstorms":"Gewitter","Windy Rain":"Wind und Regen","T-Storms":"Gewitter","Rain Snow":"Schneeregen","Sleet":"Graupel","Snow/Rain Icy Mix":"Gefrorener Schneeregen","Freezing Drizzle":"Gefrierender Niesel","Drizzle":"Niesel","Freezing Rain":"Gefrierender Regen","T-Showers":"Platzregen","Showers":"Regenschauer","Light Rain":"Leichter Regen","Heavy Rain":"Heftiger Regen","Snow Flurries":"Vereinzelte Schneefall","Light Snow":"Leichter Schneefall","Snowflakes":"Schneeflocken","Heavy Snow":"Heftiger Schneefall","Hail":"Hagel","Dust":"Staub","Fog":"Nebel","Haze":"Dunst","Smoke":"Rauch","Windy":"Windig","Frigid":"Kühl","Partly Cloudy":"Teilweise bewölkt","Mostly Cloudy":"Stark bewölkt","Clear":"Klar","Sunny":"Sonnig","Fair":"Heiter","Mostly Clear":"Klar","Mostly Sunny":"Meist Sonnig","Hot":"Heiß","Isolated Thunder":"Vereinzelt Donner","Scattered T-Storms":"Vereinzelte Gewitter","Scattered Rain":"Vereinzelt Regen","Scattered Snow":"Vereinzelt Schneefall","Windy/Snowy":"Windig/Schneefall","Scattered wers":"Vereinzelte Regenschauer","Snowy":"Schneefall","and":"und","Shower":"Schauer","Mostly":"Meist","Scattered":"Vereinzelt","Rain":"Regen","Snow":"Schneefall","Wind":"Wind","Early":"Morgens","Late":"Abends","PM":"Nachmittags","AM":"Vormittags","Sun":"Sonne","Clouds":"Wolken","Cloudy":"Bewölkt","Cloud":"Wolke","Light":"Leicht","Snow Shower":"Schneefall","Widespread":"Verbreitet","Few":"Wenig","Isolated":"Vereinzelt","Mist":"Leichter Nebel","Thunder":"Donner","with":"Mit","In the Vicinity":"In der Nähe"
Conditions="Thunderstorms":"Καταιγίδες","Windy Rain":"Ανεμος Βροχή","T-Storms":"Ανεμος Βροχή","Rain Snow":"Βροχή χιόνι","Sleet":"Χιονόνερο","Snow/Rain Icy Mix":"Χιόνι / Βροχή","Freezing Drizzle":"Ψυχρός ψύχος","Drizzle":"Ψιλοβρέχει","Freezing Rain":"Παγωμένη βροχή","T-Showers":"Bροχόπτωση","Showers":"Eλαφρά βροχόπτωση","Light Rain":"Ασθενής βροχή","Heavy Rain":"Δυνατή βροχή","Snow Flurries":"Νιφάδες χιονιού","Light Snow":"Ελαφρύ χιόνι","Snowflakes":"Νιφάδες χιονιού","Heavy Snow":"Βαρύ χιόνι","Hail":"Χαλάζι","Dust":"Σκόνη","Fog":"Ομίχλη","Haze":"Ομίχλη","Smoke":"Καπνός","Windy":"Ανεμώδης","Frigid":"Ψυχρός","Partly Cloudy":"Μερικώς συννεφιασμένος","Cloudy":"Συννεφιασμένος","Mostly Cloudy":"Κυρίως συννεφιά","Clear":"Σαφή","Sunny":"Ηλιόλουστος","Fair":"Εκθεση","Mostly Clear":"Σχεδόν ξεκάθαρα","Mostly Sunny":"Κυρίως αίθριος","Hot":"Ζεστό","Isolated Thunder":"Απομονωμένη βροντή","Scattered T-Storms":"Διάσπαρτες Τ-θύελλες","Scattered Rain":"Διάσπαρτα βροχή","Scattered Snow":"Διάσπαρτα χιόνι","Windy/Snowy":"Ανοιχτό / Χιονισμένο","Scattered Showers":"Σποραδικές Βροχές","Snowy":"Χιονώδης","and":"and","Shower":"Shower","Mostly":"Mostly","Scattered":"Διεσπαρμένος","Rain":"Βροχή","Snow":"Χιόνι","Wind":"Ανεμος","Early":"Νωρίς","Late":"αργά","PM":"ΠΜ","AM":"ΜΜ","Sun":"Ήλιος","Cloud":"Σύννεφο","Light":"Φως","Snow Shower":"Ντους στο χιόνι","Widespread":"Διαδεδομένη","Few":"Λίγοι","Isolated":"Απομονωμένος","Mist":"Ομίχλη","Thunder":"βροντή","with":"με","In the Vicinity":"Στην περιοχή","Clouds":"Σύννεφα","Clearing":"Ξέφωτο"